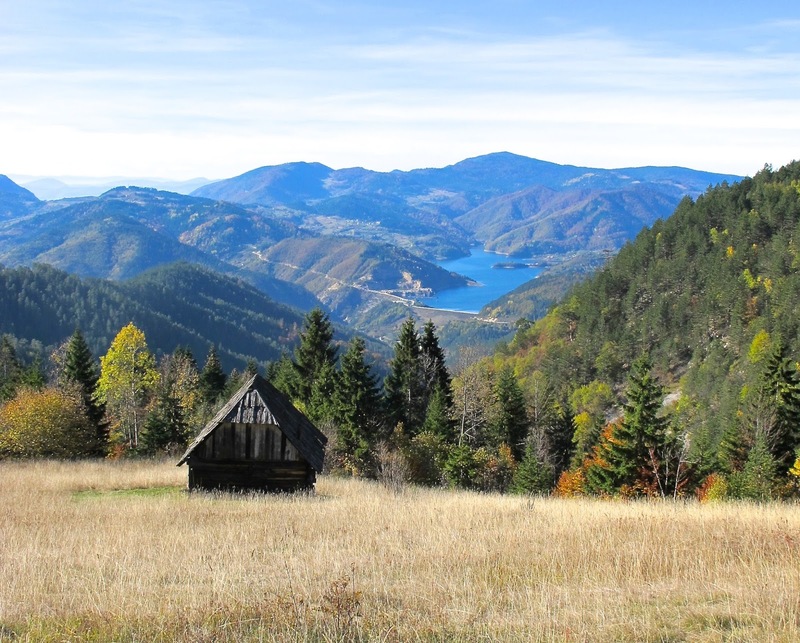 Earlier this month, I attended the World Biodiversity Conference in Mokra National Park in western Serbia. This is a beautiful area of rugged hills covered with pine forests and a few villages and fields in the valleys. The park is unusual in that much of the infrastructure was created in an exaggerated 1970s Serbian style as a set for a movie, and then was converted into a hotel, conference center, and restaurants. 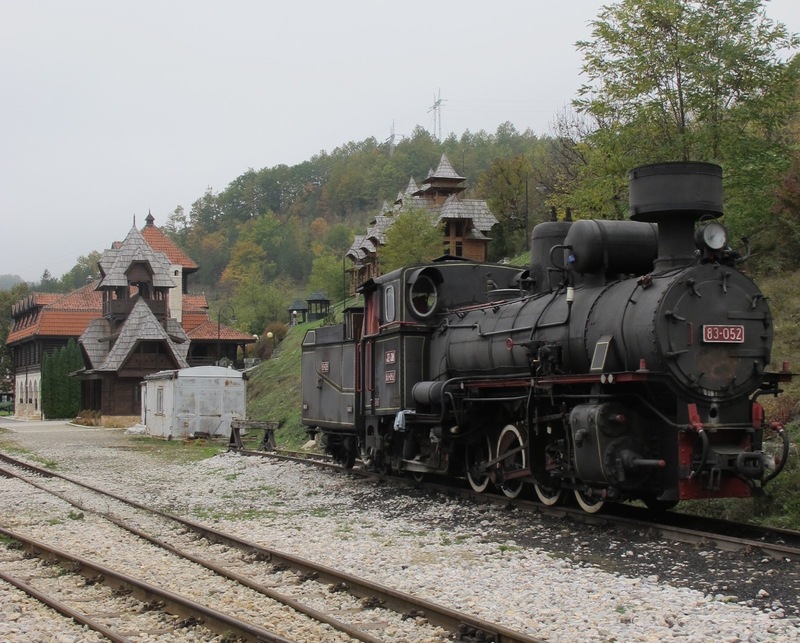 The centerpiece of the park, which attracts large numbers of tourists, is a narrow gauge railroad and a series of train stations built just for the movie. At the end of the conference, some of us went on a field trip that included a train ride. 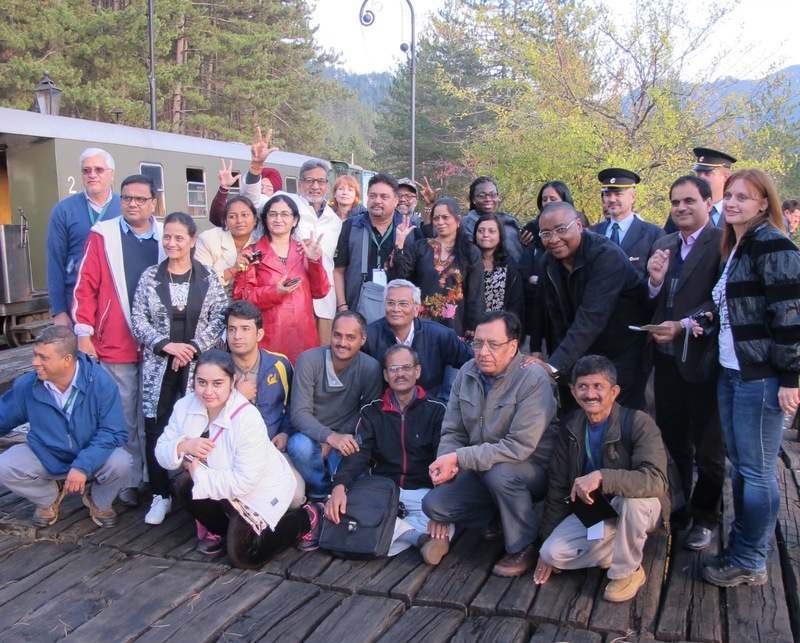 Due to visa problems, many people were not able to attend the conference, and about half of the participants were from India. After the conference I visit my colleagues in Novi Sad in northern Serbia. The highlight of the trip was a visit with grad student Tijana Radisic to a village park where about 80 long-eared owls nest during the day; at night they hunt in the surrounding fields. In a recent article in the New Yorker, Kathryn Schulz goes to considerable lengths to argue that Henry David Thoreau and his book “Walden” are not worthy of their high reputation in American society. She accuses Thoreau of hypocrisy, a dislike of people, and being full of contradictions. Schulz’s major concession to Thoreau is that he is a keen observer of nature. 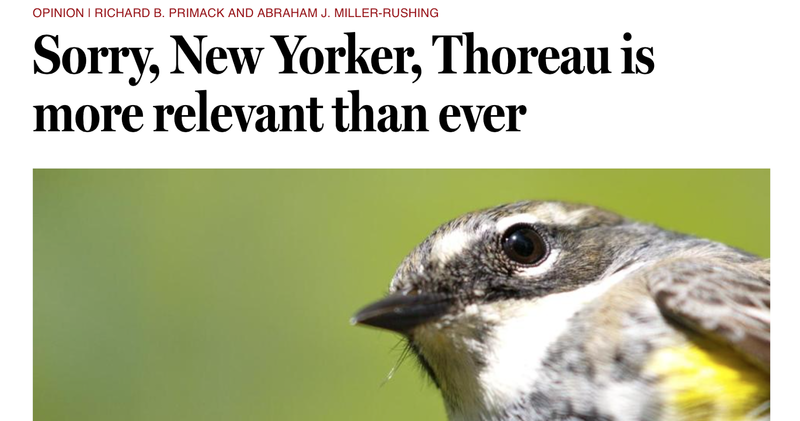 However, in a rebuttal published in the Boston Globe, we argue that Thoreau’s writings of a century and half ago have continued relevance to modern society on topics such as greed and materialism, the value of higher education, and species loss. We also describe how we have used Thoreau’s detailed observations from the 1850s of the timing of flowering and leafing out of plants and the spring arrival of migratory bird species combined with modern observations to document the impacts of climate change. Plants in Concord are now flowering and leafing out about 10 days earlier than in Thoreau’s time, while birds are less responsive to a warming climate. 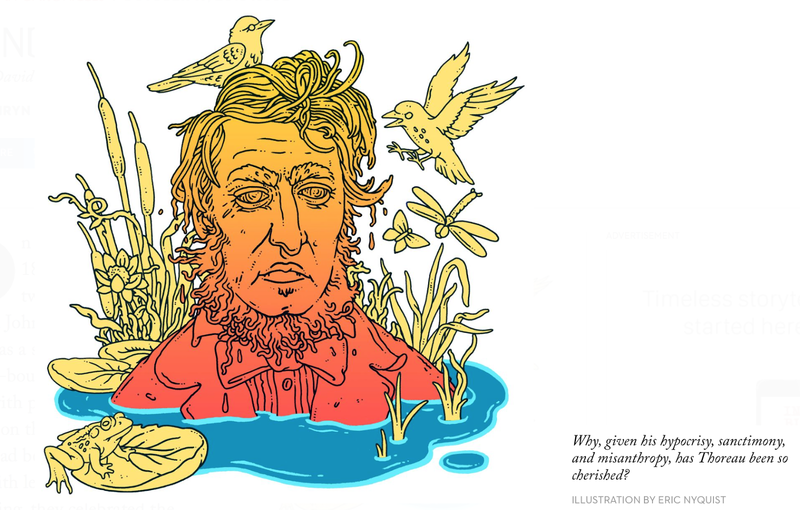 Thoreau’s writings still inspire new generations of people to observe and protect nature, and have special value in climate change research. A recent article in New Scientist highlights our review of the effects of climate change on autumn, published earlier this year in Trends in Ecology & Evolution. 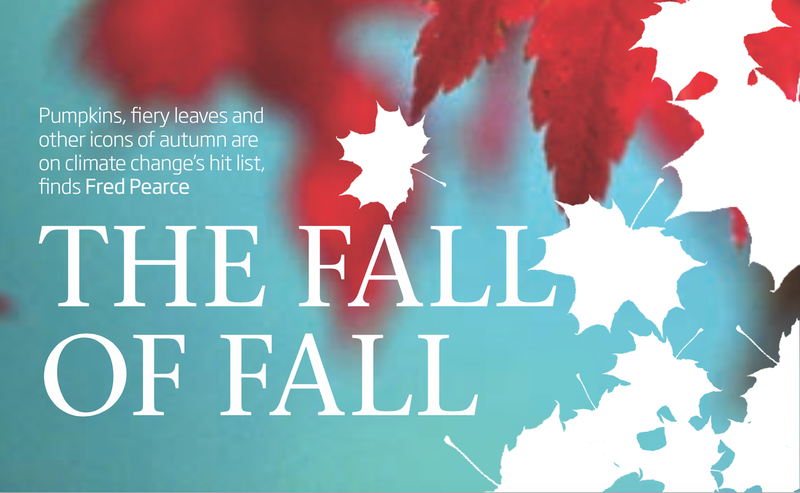 The New Scientist article, by science writer Fred Pearce, is accessible and thoroughly researched, featuring top researchers studying autumn phenology such as Tim Sparks, Shilong Piao, Ally Phillimore, and others. You can read the full article HERE. Also in recent weeks, we were invited by the online publication Elsevier Connect to write a piece about our autumn review paper. You can find that article and participate in an already lively discussion about autumn by leaving us a comment HERE. 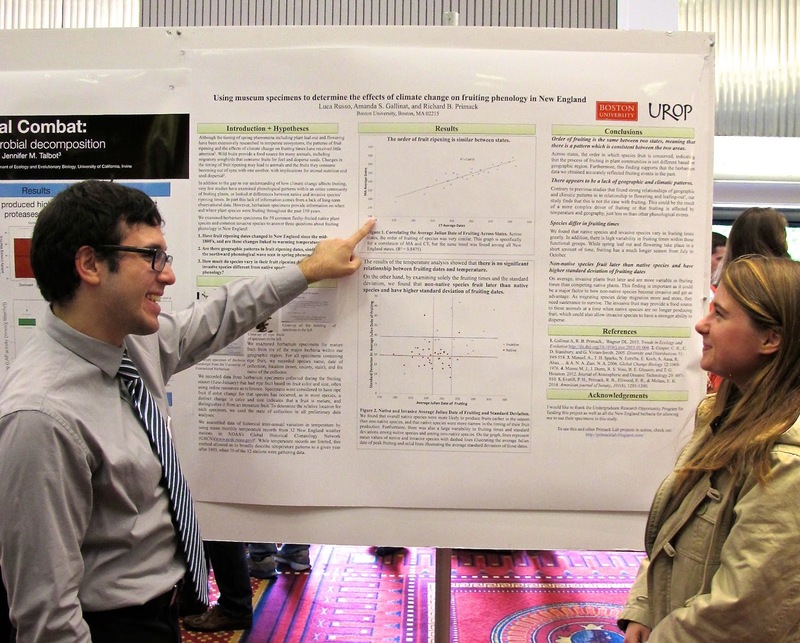 At a recent Undergraduate Research Opportunity Symposium, BU senior and Primack Lab member Luca Russo explained his undergraduate honors research on fruiting times and climate change to the Boston University research community. This project uses museum specimens of plants to examine how a warming climate will affect fruiting times, focusing on the differences between native species (blueberries, huckleberries, etc.) and non-native invasive species (bittersweet, buckthorn, etc. ).